Was pleasantly surprised to see tweets and messages from friends and readers, (same thing no?) 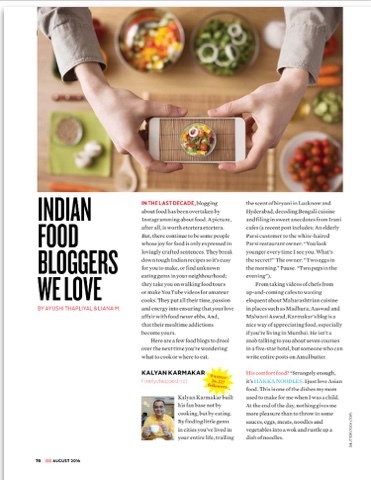 travelling Spice Jet when they saw Finely Chopped featured in the August issue of the airline's in flight magazine, Spice Route. They sent me pics of the feature. I now have a PDF so thought I would share it with you. Thanks for reading my blog. Am just about to complete 9 years of blogging and your support is what makes everything so worth it. 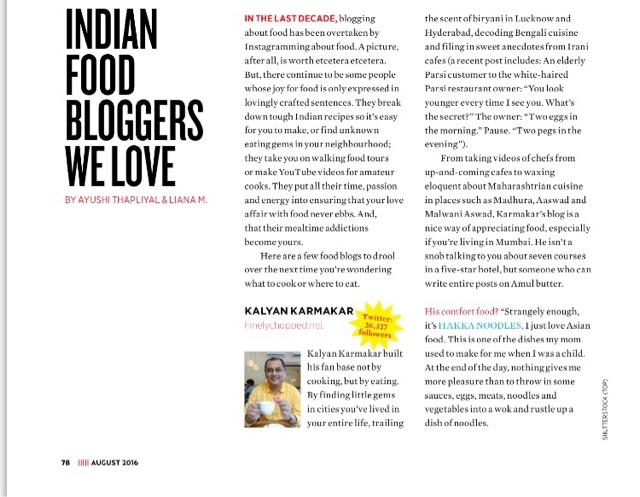 And thanks a ton to the team at Spice Jet for including me in the feature. It was very kind of you and you made me really happy. That's what matters the most in life doesn't it? Here's wishing you all a great week ahead!